We've probably all heard someone say that golf is 90 per cent mental and only 10 per cent physical. This book's series of real life experiences clearly highlights why there's much truth in that statement. The winners' stories presented demonstrate that whatever their circumstances, mentally strong players are able to produce positive outcomes, often against all odds. The authors have successfully sought out first-hand evidence from professional and elite amateur players, with the resulting dialogues encapsulating all that is good in preparation. They then elaborate and reflect on those attitudes that form the bedrock of mental toughness. 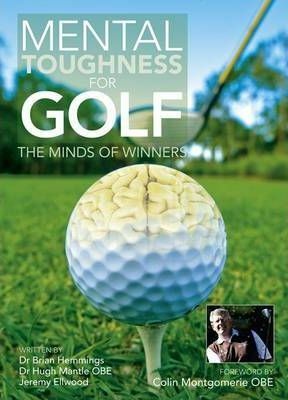 The good news is there's absolutely no reason why any golfer - whatever their standard - cannot benefit from the insights unearthed in this book.The stories provide potent evidence of the power of the mind. The authors are all passionate about improving the performance of every golfer. Through their interviews they have uncovered the critical psychological factors that make winners - factors accessible to all players. These fascinating stories, relayed through the players' own words, represent a refreshing way to guide, inform and expand our mental approaches to performance. Players whose stories are featured include Nick Faldo, Justin Rose, Colin Montgomerie, Jamie Spence and many more.